In this special feature, we focus on many of the questions that need to be addressed when considering either importing direct or buying an imported catering trailer from overseas – versus buying from UK Manufacturers. Today we talk directly with Caterpods, who have first-hand experience in both importing, manufacturing and competing directly against foreign imports. Caterpods – Our original plan was to become an importer of trailers. Our background is purchasing related and in early 2012 we went on a sourcing trip to China to visit most of the major trailer manufacturers. Having found what we thought was a great company, we worked together on a specification and placed an order for seven units for delivery in the summer of 2012. SZ – What was your experience of working with an overseas Supplier? Caterpods – In the beginning everything appeared to be fantastic as they were very accommodating in meeting our needs and they gave us the impression that they could meet the specification requirements without any issues. Confidence & trust was high until the first delivery was made where everything crumbled in front of our eyes. SZ – What were the main issues that you faced? To make it cost effective to import the trailers, the bodies are approximately seven foot wide which means that they can be loaded into the container ‘sideways’. As such, they provide a detachable tow bar which is stored in the trailer during shipping. When assembled, this solution results in a very weak chassis which is completely unsuitable for the UK roads. To save costs, lightweight thin mild steel is used to manufacture the chassis which is then painted. As well as having a flimsy chassis, with no ‘anti-rust’ solution incorporated, it is likely to fall apart in a very short space of time. Most of the materials and components that they use on their trailers are not fit for purpose on the UK roads. Examples of this include safety glass that has not been treated in accordance with our strict road laws, tyres which are not rated for use on European roads and lighting considerations which do not meet the required standards. SZ – What about electric and gas safety considerations that are required for all UK trailers? Caterpods – To get access to events, markets, festivals etc all traders have to demonstrate on an annual basis that electrical installations meet strict IEE regulations and that all gas installations are carried out by UK registered Gas Safe Engineers. This is in addition to ensuring that all equipment holds the relevant ‘CE’ approvals. Overseas suppliers offer a magnitude of equipment and promise that both the installation meets the required standards and that the equipment holds the relevant approval. Based on our experience they are completely unfamiliar with the required standards that we have to meet here in the UK and it is highly likely that installations will fail the required tests. Any supplier can purchase a roll of ‘CE’ stickers, so best beware of those promising approval standards are met. SZ – Are there any approval standards to be met for trailer Manufacturers? Caterpods – Back in October 2012 the ‘Vehicle and Operator Services Agency’ (VOSA) introduced new legislation covering all trailer manufacturing in the UK and Europe – this covers private individuals wishing to make their own trailers as well as commercial trailer manufacturers and importers. Whilst it is possible for any person to make or import a trailer, each trailer must either hold a European type approval (mainly held by high volume European suppliers) or be taken to a VOSA testing station for an ‘Individual Vehicle Approval’ (IVA). Without either of these the trailer is in effect ‘illegal’. Unfortunately most owners are unaware of this until it has severe implications when it comes to road traffic accidents (where they will find that they are uninsured and at risk of prosecution if their trailer is implicated in causing an accident), or they are stopped by VOSA who complete road side checks periodically across the country (where the vehicle will be impounded). SZ – Do people ever compare imported trailers to your trailers? Caterpods – We often experience this as it is natural for people to shop around and view all of the options available. Trailer manufacturing is not exclusive and there are many options available in the market place, however, we always encourage people to do some digging to understand what is on offer. It is very natural for people to look at pictures and consider something is the same and then wonder ‘why there is such a difference in price?’. The old saying of ‘you get what you pay for’ is very apparent here, so if something looks considerably cheap then it is best to try and understand the reasons why. SZ – What advice would you offer to anyone considering either importing their own trailer or buying an imported trailer from a UK supplier? Always be suspect of cheap equipment, especially when it comes to gas. If in doubt ask to get the approval numbers for the gas equipment and get it checked out. This can be so important as if the equipment causes any sort of accident you will be liable and at risk of prosecution. Customer testimonials are crucial so be sure to ask to speak to their previous customers who will gladly tell you of their experience. Make sure that any company offers you a good warranty backed up with a decent after sales service. This is really important to ensure you get good life from your investment. 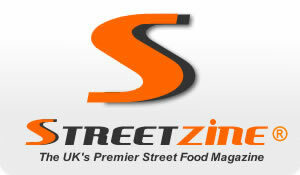 SZ – Do you offer advice and support to potential customers? Caterpods – There appears to be a major price benefit when importing, however, there are so many pitfalls to be aware of that we urge any potential customer of a trailer to make sure everything checks out. We offer free no obligation advice to any person looking to purchase a trailer as we are in a great position based on our experience.